What do you do when one of your number is invited to curate a Women In Folk series at London’s King’s Place? You augment your number to include more fabulous female musicians, of course! The Trad: Reclaimed Women In Folk series, which took place earlier this month, sought to shine a light on women in the contemporary folk scene, and celebrate those that helped make the scene what it is today. 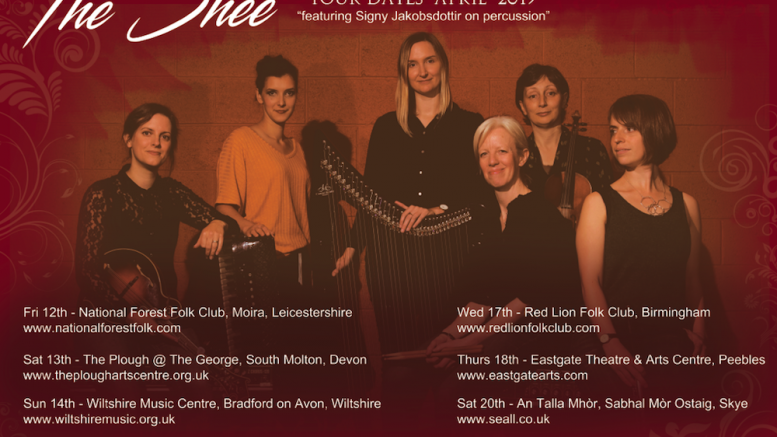 The series was the brainchild of The Shee’s harpist and vocalist, Rachel Newton, and featured The Shee as an 11-piece big band, with ScottishIcelandic drummer and percussionist, Signy Jakobsdottir, alongside other folk scene favourites – Lori Watson, Heather Downie, Jenn Butterworth and Mairearad Green – joining the ranks. 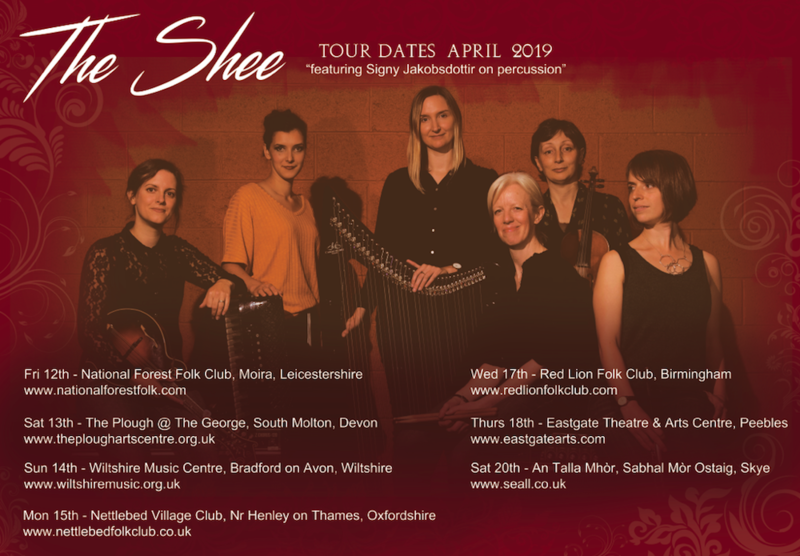 And now, The Shee plan to head back out on the road, with Signy Jakobsdottir continuing to provide the beats. This will give fans of The Shee a unique opportunity to hear a new perspective on the band’s rich signature arrangements.